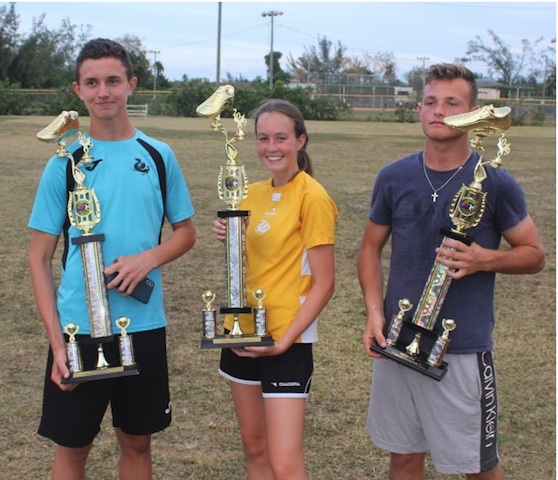 Lyford Cay International School (LCIS) has much reason to celebrate as its Junior Boys, Senior Girls and Senior Boys Football teams won Bahamas Association of Independent Secondary Schools (BAISS) titles last week. The school did not enter a team in the Junior Girls division as it does not have enough students to field two girls teams. Most of the girls on the championship senior girls team, including a number of key players, were in Grades 7 and 8 competing against much older athletes throughout the season, making their win much more impressive. This is only LCIS’s second year in the BAISS. With this victory LCIS’s Senior Boys will aim to defend their title in the National Football Championships in May. The Senior Girls will also compete in nationals and the school is hopeful that they can win both the boys and girls divisions. The school is accepting applicants for the 2019-20 school year, to learn about the admissions process, go to www.lcis.bs/admissions, email admissions@lcis.bs, or call 242-362-4774. Founded in 1962, Lyford Cay International School (LCIS) is a fully accredited international day school located in western New Providence offering the International Baccalaureate curriculum to students aged 18 months to 18 years. LCIS students move on to top colleges and universities around the world, with over 95% of students accepted to their first-choice school. Visit: www.lcis.bs for more information or to apply.